Above the standard from a multiple award winner. The nation’s leader in the manufacturing of privacy curtains and cubicle curtains tracks. 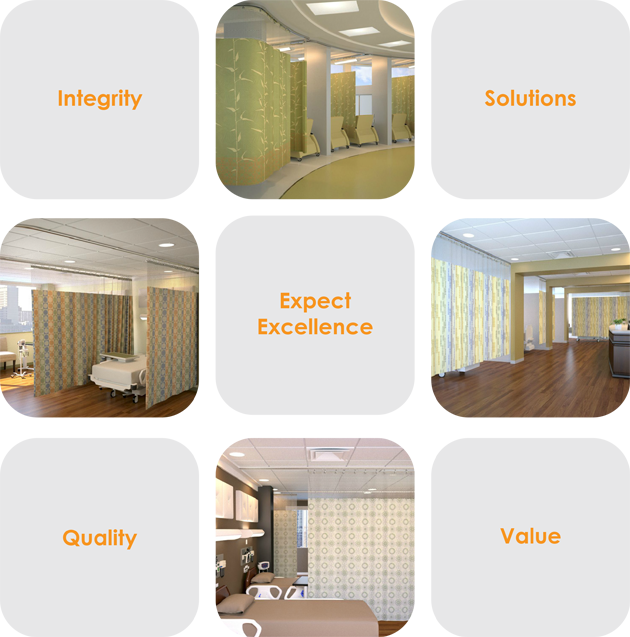 Cube Care Company provides high-quality decorative products and services for healthcare and commercial interiors. We offer a turnkey solution for clients looking for the highest quality products and textiles available for healthcare and commercial interiors, including cubicle curtains, tracks, shower curtains, cart covers, window treatments and bedding, as well as installation and maintenance services, please check our complete product offering brochure. With our high quality products, unmatched personal service and expert guidance, we’ve become one of the most trusted names in the industry for medical facility and hospital cubicle curtains. Our commitment to delivering results has enabled us to build long standing relationships with our clients and follow through on our promises every time.